England: Take Action Now for A One Off Maximum Journey Time for Farm Animals Throughout the EU of 8 Hours. The following was made by good friend and campaigner Ian Driver at Ramsgate harbour (Kent, England) on 29/8/14. 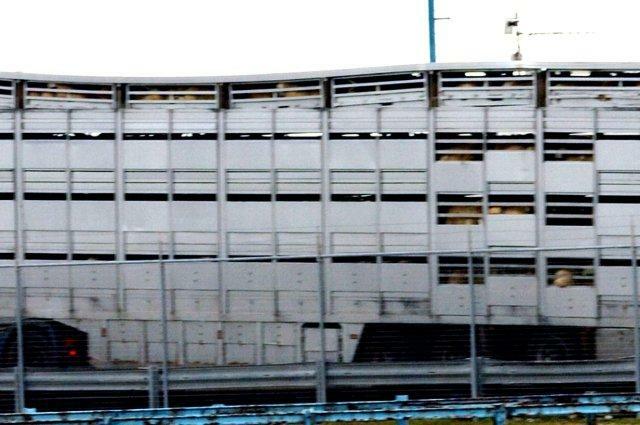 It shows truckloads of British sheep being exported by the Dutch for slaughter in mainland Europe. An English Channel crossing to France of over 8.5 hours !! We would encourage (especially) All EU Citizens and also NON EU Citizens to mail Commissioner Borg Immediately. 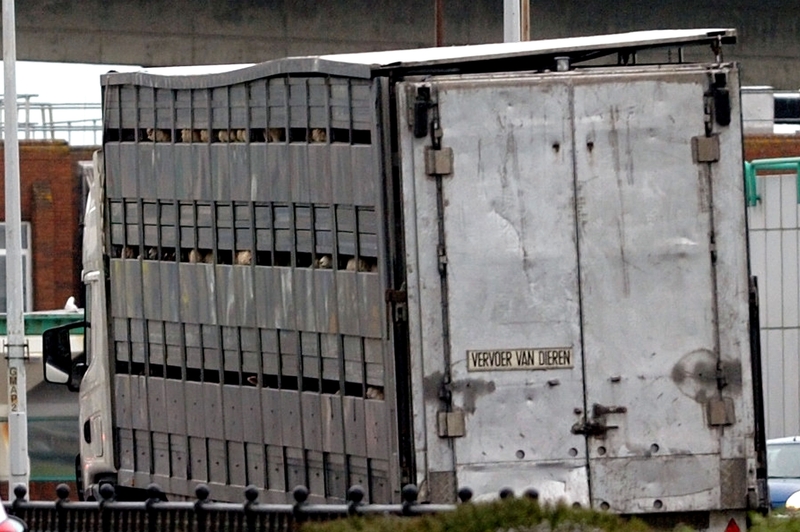 Above – The ‘standard’ of some Dutch animal export trailers being used in 2014 to carry British sheep to Mainland Europe. Photographed at Dover harbour, Kent, England. Allegedly covered by and compliant with EU standards – Regulation 1/2005. I would encourage any resident of the EU who is concerned about long distance farm animal transport to send a copy of the following pdf directly to Commissioner Borg as per the instructions below. I am now working independently through my own site, SAV, regarding amongst other things, EU live farm animal legislation changes to work in support of a one off 8 hour maximum journey time. By doing this, I have pulled out from all direct UK live export campaigning. Legislation to greatly reduce journey times and / or amend Regulation 1/2005 (the current EU rules on live farm animal transport hours) can ONLY be changed directly by the EU Commission; and certainly NOT by the UK government or any other independent EU member state government alone. So, I personally feel that there is only one option; get aim directly at the EU Commission and get the hours reduced THROUGHOUT the EU for ALL EU farm animals in transport. We need to take the campaign directly to Brussels and the people (ie. Commissioner Borg) who can amend EU wide legislation to reduce all journey times down to a one off maximum of eight (8) hours; and thus get the best deal possible for animals undergoing international transportation. Any subsequent changes to Regulation 1/2005 will then affect ALL animals in transport within the whole of the EU, not just those going through Ramsgate and Dover in the UK – such as calves from Ireland to Cherbourg, France, and pigs from the Netherlands down to Spain, as just a couple of dozens of examples. I hope the attached pdf link below currently explains the existing situation for the 8 hours campaign, and particularly, why we need more than ever now to push the EU Commission to act rather than our own rather limp UK government. Attached above is a sample letter link (supplied as a pdf) which can be sent directly to the EU Commissioner (Borg) who holds the keys to amending the current legislation – Regulation 1/2005. Click on the Commissioners spokesperson e mail address to get a new e mail widow. your nationality – really helpful if you are an existing EU citizen; although we would also encourage the letter to be sent in to Commissioner Borg by non EU residents. Then finally click again to send – that’s all that is required – a matter of seconds to complete it all. Remember – the shipment of 6 sheep transporters from Ramsgate to (Calais) France on 29/8/14 took around 8.5 hours to complete its Channel crossing. This crossing IS under EU law counted as part of the overall journey time. Thus, if we had a maximum one off journey time of 8 hours; the crossing of 29/8 would have gone over the maximum time allowed as a one off consignment. Add to this the time taken to initially get to Ramsgate by the transporters, and their continuation once arrived in Calais; and, under any 8 hours regulations, the trucks would never have reached Ramsgate in the first place; let alone cross the Channel ! – The shipment would never have taken place. Hence why the 8 hours maximum campaign is so important; but this can ONLY be addressed and acted on by the EU Commission; NOT the limp UK government. Thanks and regards; please send your letter link to Commissioner Borg right now ! 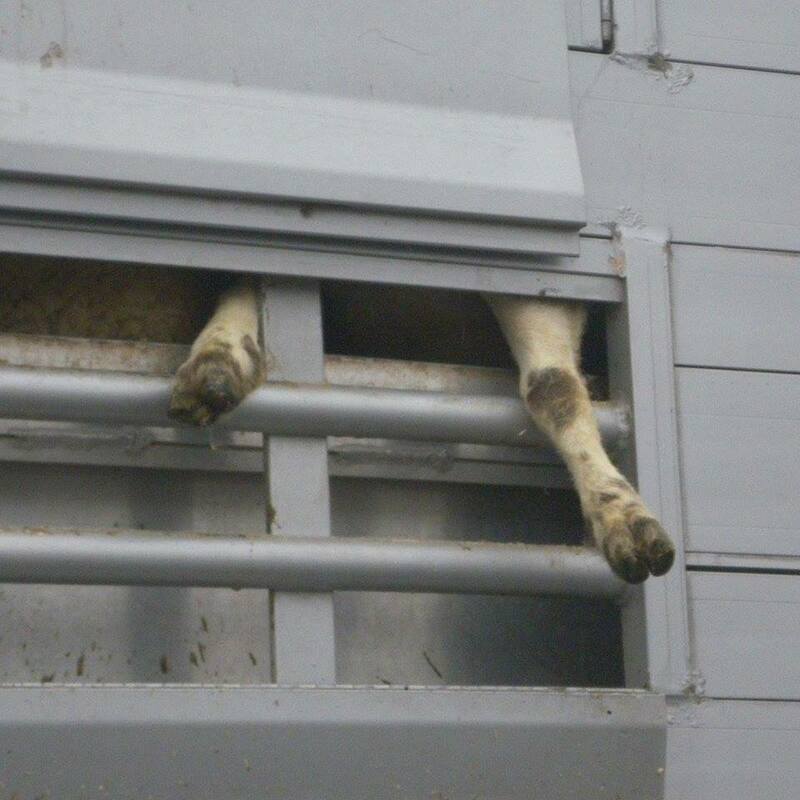 Above – An EU ‘Regulation compliant’ trailer operated in 2014 by a Dutch haulier exporting British sheep to mainland EU. Known to all as the ‘wonky roof’; is this how animals are allegedly ‘protected’ during transport by current EU Regulations ? – It is a disgrace on the name of the EU and animal welfare legislation. – TIME FOR 8 HOURS MAXIMUM JOURNEY TIME! Spain: Good Stories From The Past – Chained in the Middle of Nowhere, 120 Galgos (Hunting) Dogs Rescued. Editor’s note: This post is a Care2 favourite. 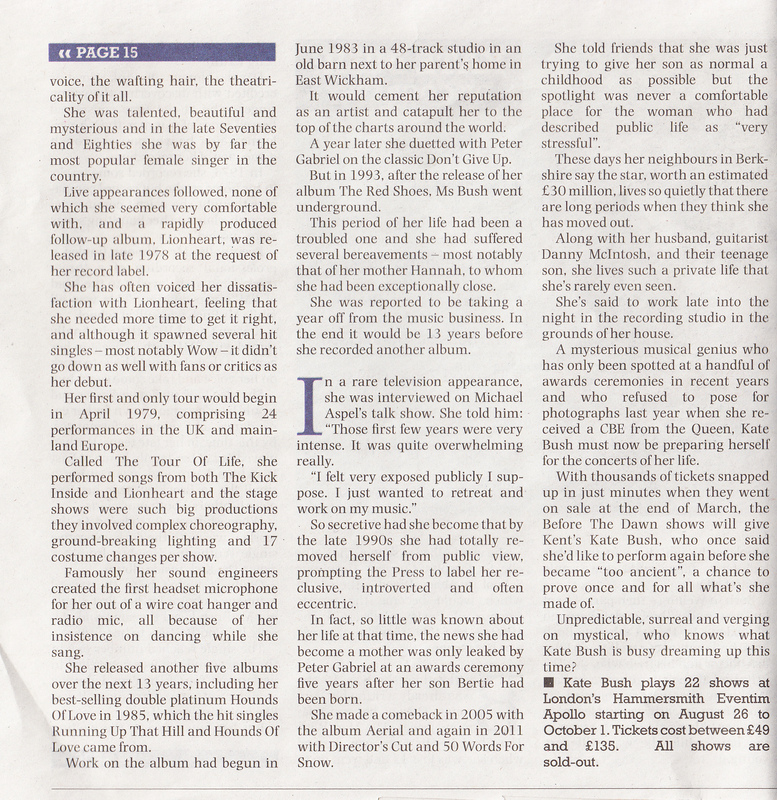 It was originally published on August 9, 2012. Enjoy! It was with a heavy heart that I found myself going along one March day to the rescue in Bullas Murcia. We set off to save a group of dogs, hoarded together and fed once a week on dried bread and crisps. The owner wanted to use the dogs to breed puppies for next year’s hunters. Some hunters dispose of these dogs like unwanted garbage at the end of each season. For those of you that have never known a Galgo or a Podenco, these loving intelligent and gentle creatures do not deserve this. They have served their master and are then treated as though they are an unwanted and useless piece of machinery. The Bullas rescue was planned by an organization called Pro-Setter. A legal battle ensued against the owner to get access to the dogs and access was allowed on a few prior arranged days, when only registered organizations could go in and rescue these dogs. I went along with the Little Pod Foundation, a great organization who had been very active in many rescues, including the one of the Beagles released from the Barcelona Laboratory. 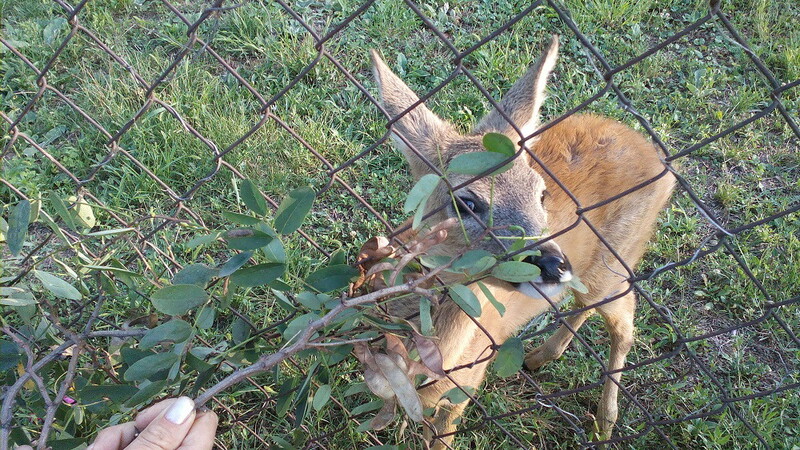 Along with them, we made plans to rescue eight Podencos. I was proud to be part of their team as it was a heart rending assignment, choosing which dogs to take and which to leave and I am glad I didn’t have to make the choice. A lot of planning had to be made very quickly prior to the rescue, for the veterinary treatment, the travel, the tests and the inoculations and of course their foster care. It seemed impossible with so many other things happening and needy dogs everywhere, funds had to be acquired for all of this and at the moment most charities are struggling, with the worst season for abandonment situations in many years. This dog is now safe, but we will not rest while others suffer this way. 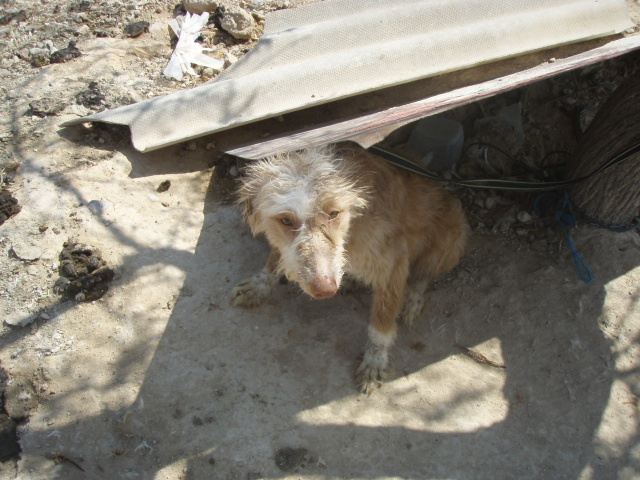 When we arrived, we were shocked to see that the conditions these dogs were in was diabolical. There were many hoarded in one huge enclosure, some of them terrified, some of them barely able to stand; the stronger ones still wagged their tails and I swear I could see in their body language the relief when we arrived. Many were chained to trees with string so tight it cut into their necks; they had sores where they were so thin and lying on the cold ground, standing in their own poo, sick and urine. Their poor legs were sore and some had mange. They had been fed occasionally on potato crisps and stale bread by their owner, so we understand. Once the volunteers had access and were able to give them food, their poor little tummies could barely cope with it. It was lovely to see, though, that as many of the dogs were put on collars and leads and given love and strokes, their demeanor changed as the day progressed. The worst part of this day was that I knew the huge freshly dug holes in the ground were filled with the bodies of the poor creatures who did not survive; I didn’t dare look but photographic evidence was taken and I believe very harrowing to see. Above – A reunion with a few of the rescued dogs. A voluntary vet was on hand who chipped the dogs as the charities decided which they would take, they were passported and vaccinated for rabies; that part of it truly impressed me, it was all voluntary and paid for by contributions and charities. What a fantastic bunch of people. We have many dogs locally that need help too and so it makes it all the more harder, but this is an epidemic and we all need to help wherever we can. At the end of the day, all dogs were rescued, but I am sad to report that the owner has another site where the same thing is taking place. The only thing we must do now is to try to fight. In Spain, 50,000 hunting dogs are murdered and abandoned every year after the hunting season. These beautiful Galgos (Spanish greyhounds), Podencos and many other hunting breeds are horribly treated throughout their poor lives and there are no laws in Spain to protect them. This is going on all over Spain. Unscrupulous owners are keeping dogs-en-masse in terrible conditions, allowing the dogs to starve or to suffer from disease and of course left in the open elements of a cold Spanish winter. Some are hung from trees, or burned alive or drowned. 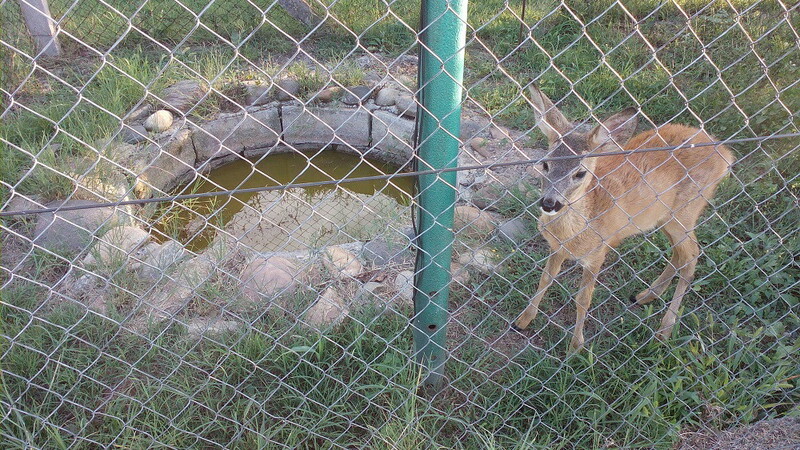 Serbia: ‘Nani’ Baby Deer Latest 29/8/14 – She Is Still Alive, and We Now Await Homing Decision By Minister of Agriculture. 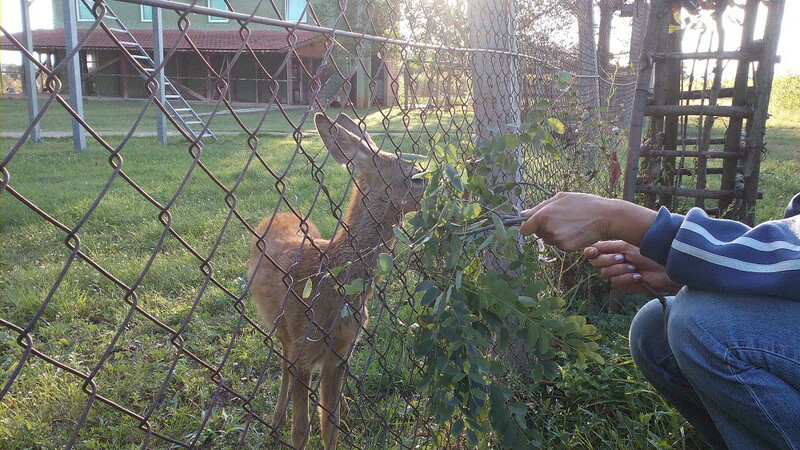 ‘Nani’ Baby Deer Latest – 29/8/14. 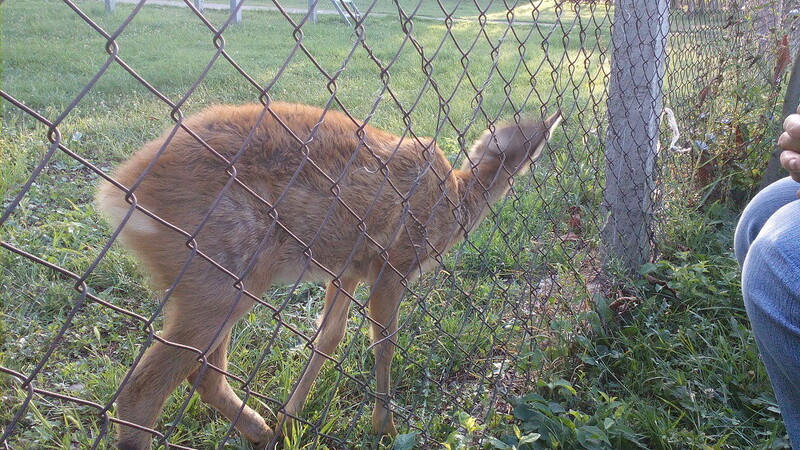 Firstly; Nani the deer is still alive, the most important thing. Slavica and others in Serbia are still fighting very hard on this case with the Republic Veterinary Inspector; who visited Nani in her current holding at the facility of the Serbuina hunters on 26/8. Now everyone is waiting for a final decision from the Minister of Agriculture to decide if (in agreement with Article 58 of Serbian laws for animal welfare) Nani will be able to return to her original home and to Mrs Dragana Mitic; who is considered to now be the mother of Nani. Dragana visits Nani every day, and keeps a photographic record of her condition every day. You can see some of the recent photographs in this post. A very careful eye is now being kept on the hunters of Hunting Society `Hajduk Veljko` to monitor everything that they are doing. After all, they have taken Nani and put her into this current situation. She deserves to be back with Mrs Dragana Mitic and so this is now the aim, as it always has been; to return her to the lady who protects her and who Nani now regards as her mother. As soon as we have a decision from the Minister of Agriculture we will inform you of the next development. 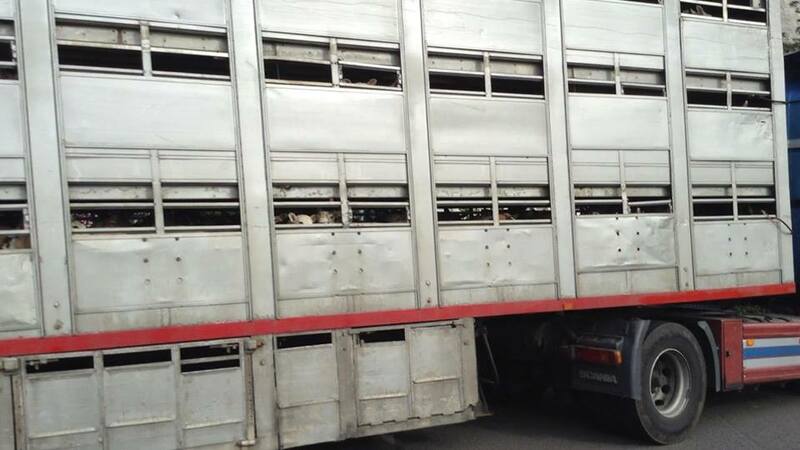 EU: Live Farm Animal Transport – How Does 8hours Implement Its Political Objectives ? At the moment, transport legislation for animals is covered by Regulation 1/2005 of 22nd December 2004. This regulation currently allows different species of farm animals to be transported for different amounts of time, well exceeding 8 hours ! – to view in English, simply go to the ‘EN’ language header; or alternatively select your (EU) language from all others provided. The following is a summary of the current EU 8 hours campaign from our friends ‘Animals Angels’ in Germany. There are many EU welfare organisations who are working hard to get legislation passed to reduce the journey time for animals to a one off maximum of 8 hours. Now that (August 2014) sees the new EU Parliament commencing business with new MEP’s elected earlier this year; we are going to start campaigning once again for the 8 hours max. through the European Parliament, but especially directly to the EU Commission responsible. It is the European Parliament which, in addition to the Council, has the right to call on the EU Commission to propose new legislation, which in this case would involve drastically reducing the journey times for animals in transport to slaughter and further fattening. In the near future we will be producing a sample letter which all EU citizens can send to their own regional / national members of the European Parliament or alternatively directly to the EU Commission; asking them to amend the journey times currently detailed in Regulation 1/2005 very, very soon. The final statement below from AA gives us heart that we are gradually making progress on this very important issue for all farm animals in transport across the EU. How does 8hours implement its political objectives? 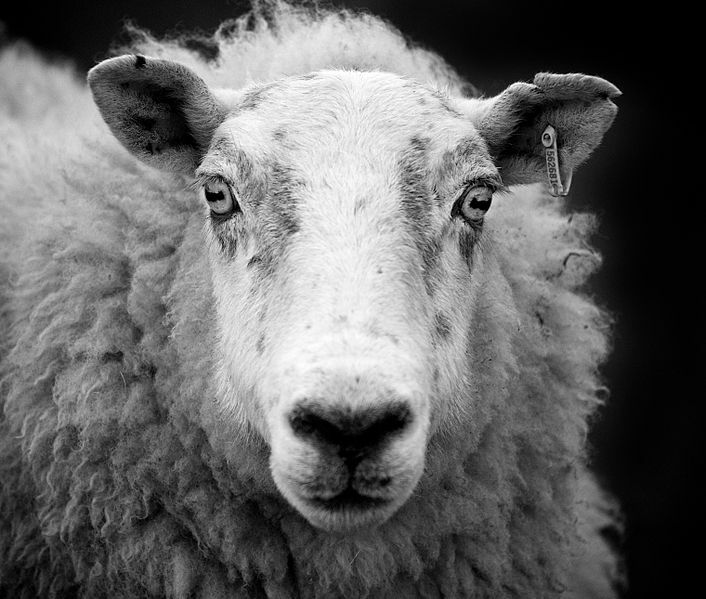 Provisions regulating the transport of ‘slaughter’ animals have existed in the EU since 1977. The EU’s currently valid version is the “Council Regulation (EC) No. 1/2005 of 22 December 2004 on the protection of animals during transport and related operations (…)” This regulation deals with the transport of live vertebrates within the EU and provides the respective statutory guidelines. An amendment of the transport regulation as desired by 8hours can only be made if proposed by the European Commission since it has the sole right to initiate law-making actions within the EU. The Treaty on the Functioning of the European Union (TFEU) stipulates that the EU Commission and the commissioners must do their jobs fully independently and for the general good of the communities. Therefore, 8hours cannot directly influence the Commission’s decision to introduce or modify a law. For this reason 8hours decided to go through the European Parliament which, in addition to the Council, has the right to call on the EU Commission to propose new legislation. EU Members of Parliament Esther de Lange, Pavel Poc, Carl Schlyter, Andrea Zanoni and Dan Jørgensen drafted Written Declaration 49/2011 for this purpose and introduced it in the EU Parliament in November 2011. The results of the petition signature drive started by 8hours at the beginning of 2011 were included in the text of the declaration: More than 1 million signatures had been collected by the time voting took place on March 15, 2012. This result contributed considerably to the success of the Written Declaration. A total of 395 Members of Parliament voted in favour of the document and demanded a maximum transport time of eight hours. Thus 8hours achieved one goal in the EU Parliament: The EU Commission has now been called upon to act accordingly. If it does not submit a legislative proposal it must notify Parliament of the reasons. On June 7, 2012 representative of Animals’ Angels, 8hours and numerous European animal welfare organizations traveled to Brussels to reinforce the arguments of 8hours and Parliament’s request at a meeting with EU Commissioner John Dalli. The signatures were officially presented to John Dalli’s cabinet. Finally the Commissioner stated on camera that “by 2014 the Commission will publish a legislative proposal.” A few days later, however, a representative for John Dalli retracted this statement without comment. The revocation of the promise by John Dalli came as a complete surprise to everyone involved. Neither 8hours nor the EU parliamentarians behind the Written Declaration could move John Dalli to make a statement. In response to these events 8hours offered the opportunity on its official website to write a pre-formulated letter of complaint to the Commissioner. The EU Commissioner received more than 30,000 complaints in the following days. However, the indignation about simply ignoring the will of more than one million EU citizens remains unanswered. In June 2012 Animals’ Angels submitted the boxes of signatures to the Petitions Committee of the European Parliament in Brussels. On 16 September 2013 Animals’ Angels was invited to Brussels to speak to MEPs and members of the Petitions Committee about the 8hours demands. Animals’ Angels took this opportunity to ask why the EU Commission had so far done nothing to respond adequately to the will of EU citizens and the EU parliament. Animals’ Angels requested the Petitions Committee to examine the case and obtain a formal reply from the Commission regarding the 8hours petition. The mere fact that the Petitions Committee had been convened makes it absolutely clear that it is prepared to support our petition and seek answers to our questions. In March 2014 Animals’ Angels received word from the Petitions Committee that at its behest not only the European Commission had been told to consider our petition, but also the Committee for Agriculture and Rural Development of the European Parliament. The Petitions Committee takes our petition very seriously and has promised to keep us informed of future developments. 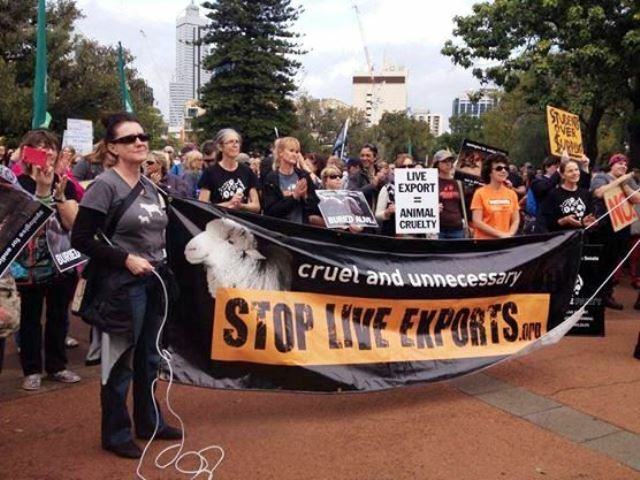 Australia: Live Exports March – Russell Square, Northbridge – Saturday 30th August. As Stop Live Exports Campaign Manager and representative for another animal advocacy group, I will be addressing the crowd at March Australia‘s March in August event this Saturday 30 August at Russell Square, Northbridge. Speakers at the past events have condemned this government for its treatment of workers, students, the aged, the sick, the poor, the misplaced,the disadvantaged. I will be speaking out for some other Australians those who have no voice AND no vote – the animals; they get a raw deal no matter which major party is in power, but this government’s attitude towards and support for the live export industry at any cost, is unconscionable. We hope to have a HUGE Stop Live Exports contingent there, with t shirts, placards and banners. We have also been invited to have a stall there at which to sell merchandise and offer memberships. Please arrive by 1 PM for first two speakers and march, followed by two more speakers (including myself) – we would love to hear some loud voices in large numbers for the animals! Facebook event page is here with all details, or just turn up to Russell Square, Aberdeen, James, Shenton and Parker streets by 1 PM this Saturday 30 August. Parking will be a nightmare, so strongly suggest you use public transport or get dropped off. 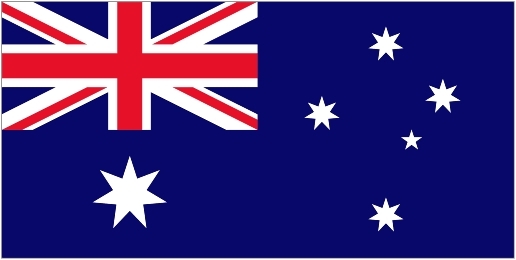 For a full list of all march locations in WA (Geraldton, Denmark and Broome) in and across Australia, see the March Australia website. 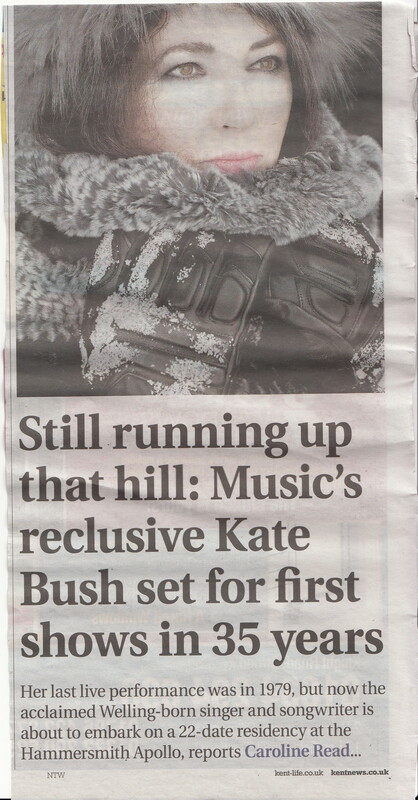 England: 26/8/14 – After 35 Years, Kate Returns To The Stage – It Will Be Fantastic; Probably Even Better Than That !! 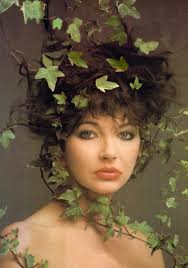 I had the wild and crazy pleasure of seeing Kate twice during her one and only ever tour 35 years ago. It was a couple of fantastic nights in Old London town. 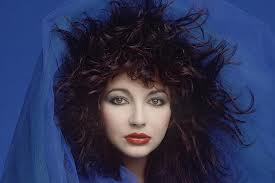 The girl from (our) home county of Kent, so much loved by so many; is returning to the stage for another tour after 35 years; commencing this evening. It will be something amazing !! – perfection from a true English Rose. 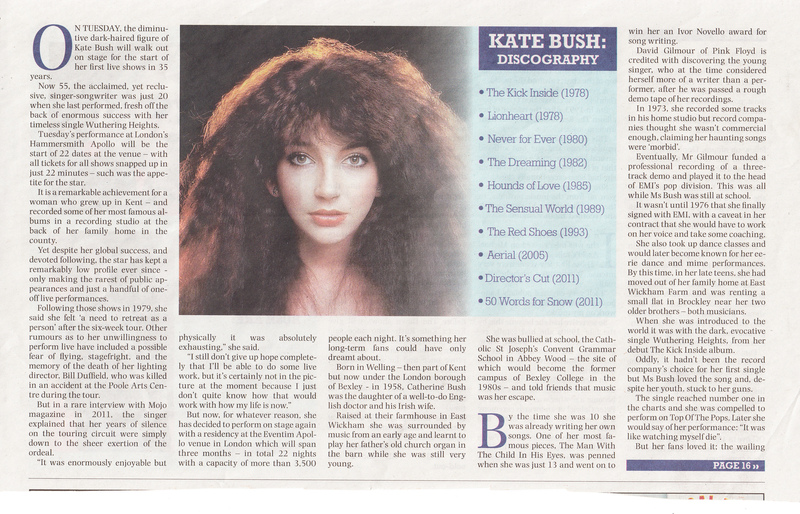 Go Kate – blow em away !! 25/8/14 – Petitions and More ! https://www.facebook.com/notes/nina-carlotto/lettre-contre-les-sacrifices-des-animaux-au-n%C3%A9pal/1465569263730157 – Please send a message in protest of animal sacrifices in Nepal! – Say NO to the evils of Ivory! Make a statement against animal suffering and opt against Gutfleisch! http://www.thepetitionsite.com/takeaction/881/808/560/ STOP hunting Jaguars for their beautiful FUR! http://www.thepetitionsite.com/takeaction/524/119/482/ Needs more signatures! Help Secure a Future for Mexican Gray Wolves! https://www.facebook.com/events/428839317253998/?fref=ts Leo has 3 weeks to raise 200 euros in order to go to his foster mum in the UK! Help him to begin a new life! Grateful for any amount!